I love a good themed make up collection, me. I enjoy it when brands do something different and step out of the norm, creating a range that’s a bit different to everything else currently on the market. It doesn’t need to be so out there that the products are unwearable, but just different enough to catch my interest. Which is exactly what the Zoeva Premiere Collection has done. I’m a sucker for the 20’s – that era is just so alluring. I love films based on the 20’s and watch as many as I can. Jessica Rabbit, Ella Fitzgerald…I love everything about the 20’s. I find the sense of style back then just so sophisticated and classic. Women just looked so put together, so elegant and everything about the make up and hair just makes me love the era even more. So when I saw the Premiere collection, I loved how much it embodied it. 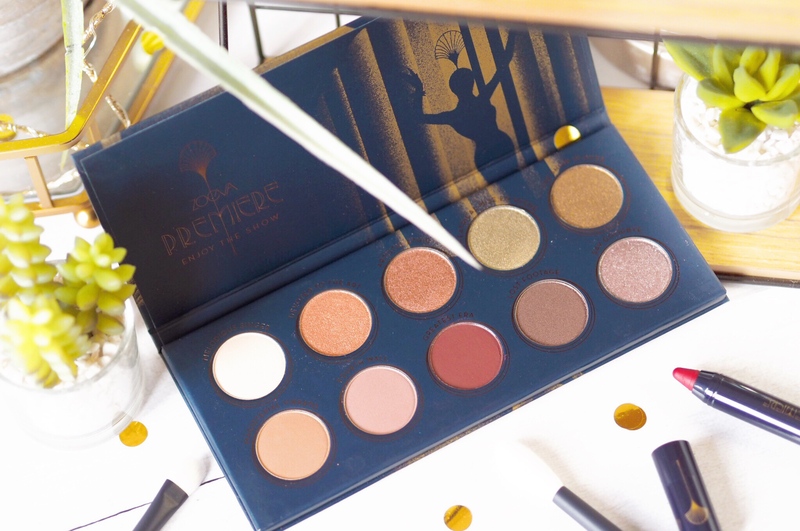 Including an eyeshadow palette, a cheek palette, three lip crayons and a collection of brushes, the range is comprehensive with shades that are reminiscent of the 20’s themselves. And allow you to recreate those bold lipped, sultry eye looks – all with a pop of English rose cheek colour. And it couldn’t have come at a better time, because what better season to try out some 20’s make up styles, than the festive party season? The colours lend themselves perfectly. 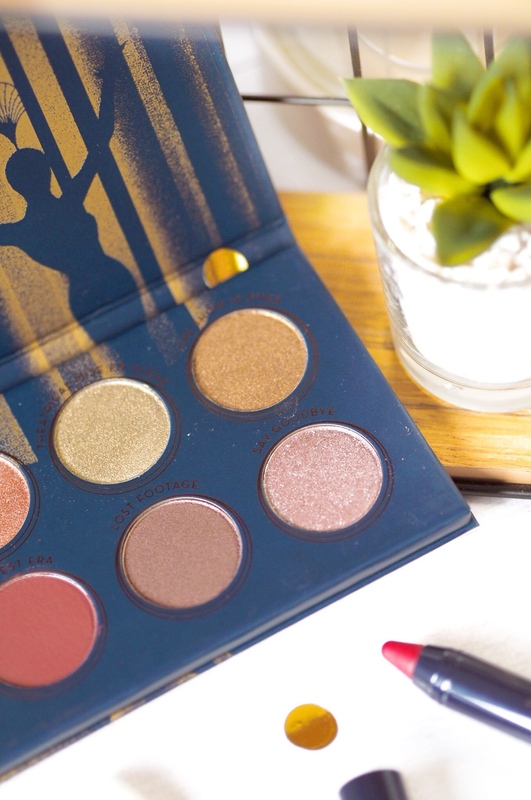 When it comes to eyeshadow palettes, I’ve reviewed quite a few from Zoeva and they’ve been very pretty additions to my collection. The Premiere is no different, and a great thing about their palettes it’s they don’t break the bank. This one is £18 and you get ten shades for that, and the pans are all a good size. Ranging from dark burgundy reds through to warm golds, and a green that screams ‘jazz 20’s’ to me, it’s a comprehensive shade range. What’s more is there’s a mix of finishes from matte to satin and shimmer. Which means you can create some really fun smokey eye looks and some colourful looking lids too. The palette has enough variation to give you lots of options with the looks you create and there’s transition shades as well as lid shades and naturally the deeper ‘smokey’ tones too. So you won’t need another palette or shadows – this palette has all you need. 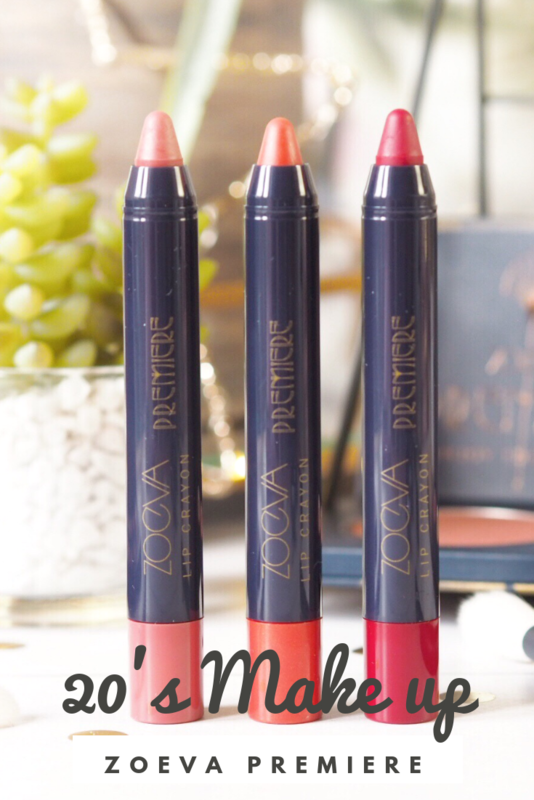 The pigmentation is very gentle, as I find with all Zoeva products. They allow you to build up to the payoff you want, which is a nice level of control to have in your shadows. A small amount gives a gentle but subtle colour and blending up gives a high payoff, so you’re covered in that sense too. 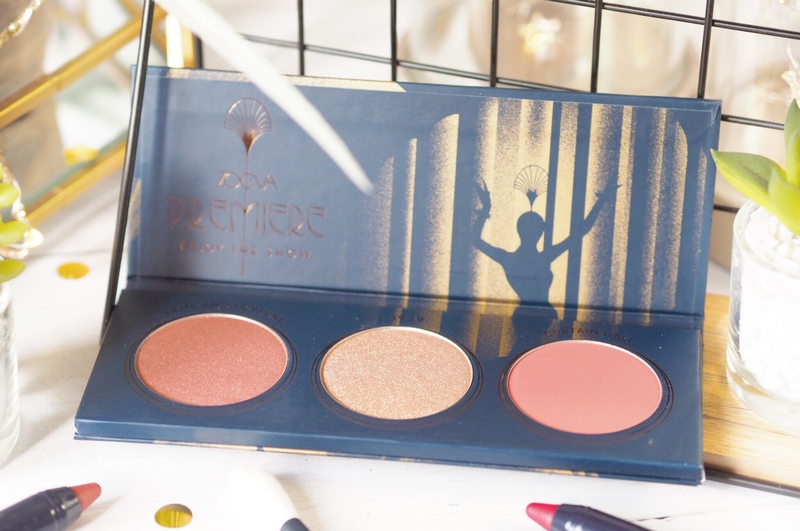 The cheek palettes from Zoeva have been some of my favourite products from them and the Premiere Cheek Palette is lovely too. I was surprised by this palette at first as it has only one matte blush – and this one is a terracotta kind of shade. It then has two shimmer finishes – one is a gorgeous rich gold and the other is a rose pink. These aren’t a shade mix you’d usually expect but for the 20’s theme of the collection, it’s perfect! Rich cheeks with a flush of pink and a stunning highlight across the cheekbones – it’s glamour down to a tee. And great value at only £13. 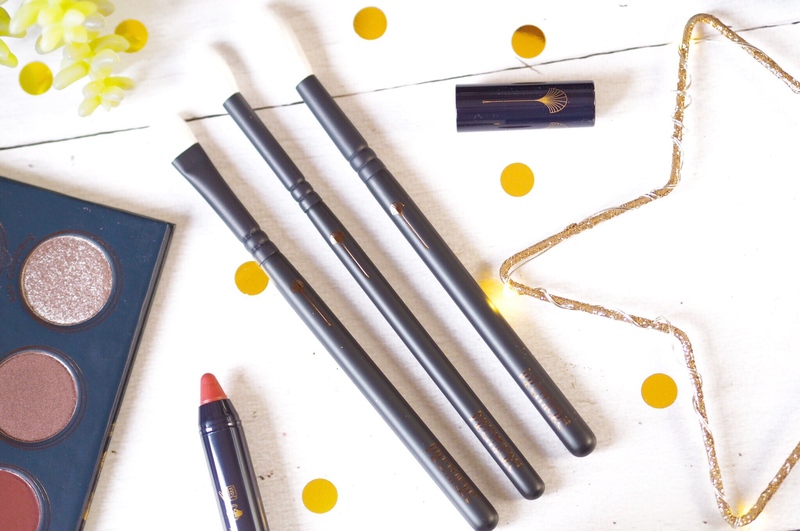 There’s three lip crayons in the Premiere collection, and they all embody the lip colours I associate with that era perfectly! 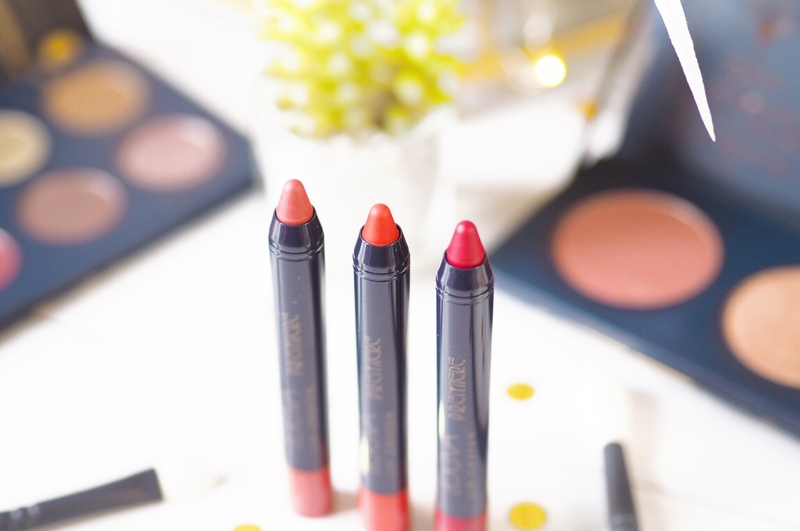 Bold, bright lips to create a really feminine lip, these may be my favourite items in the collection. Reminding me of flapper girls in their bright red lipstick, the shade Extreme Costumes has the bold, deep red you want and in a perfect matte finish. Then there’s Theatrical Extravaganza – a coral orange tone and Acoustic Feeling which is a pretty English-rose pink. All such gorgeous shades with a creamy payoff that’s rich – and makes a statement. Less than £10 each too. To complete the collection there’s four individual brushes to collect as well. 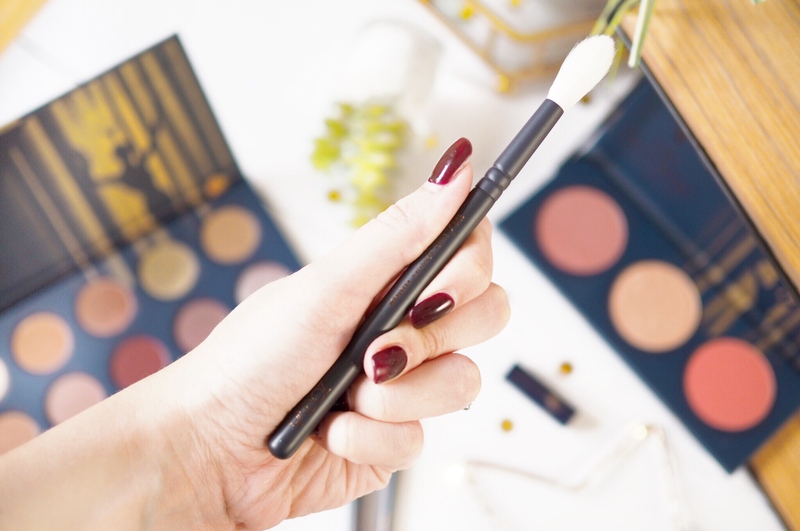 This includes two eye brushes, a face brush and then the Luxe Powder Fusion which is super elongated brush which doubles for the eyes and the cheeks with your highlight. 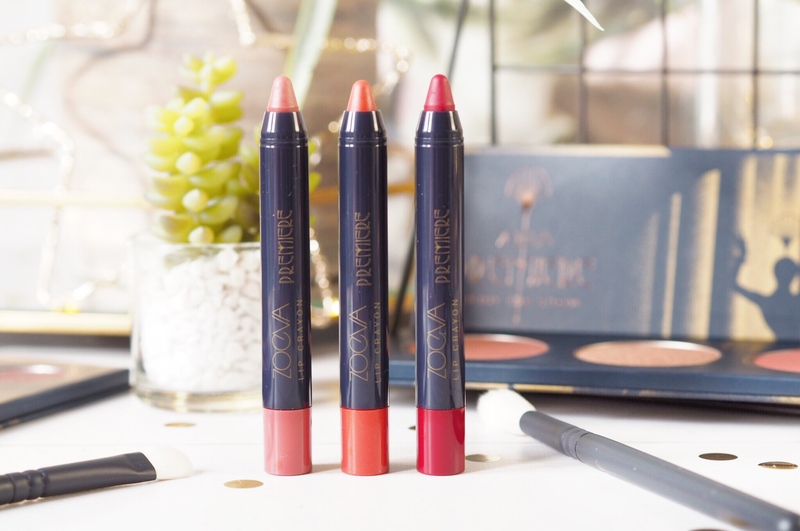 I really rate the Zoeva brushes – they give good control and last really well, I have many in my collection and love them. Highly recommended and great value. So all in all the colours are gorgeous and really do lend themselves to the flapper girl era of bold lips and smokey eyes. I think for the value of the Zoeva products too, this is a collection to enjoy for party season looks. That blush palette is stunning! I’ve got Zoeva on my to try list! 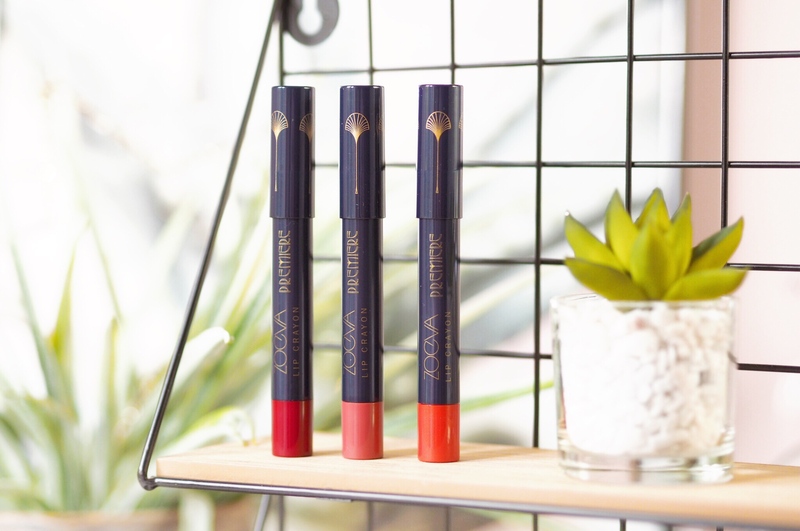 I absolutely love Zoeva, their products are always really good quality. I had not seen these though, they look so beautiful! I love the packaging of this! I think the 20’s is a fascinating era too! That palette is stunning! I love the shades,esp the shimmer ones! I love older fashioned inspired products with a twist, and this is that – so so pretty! I love the look of the blush palette! I have never tried this brand but they look to be great quality for the price! Everything in this range appeals to me! Especially the blush palette and lippies!